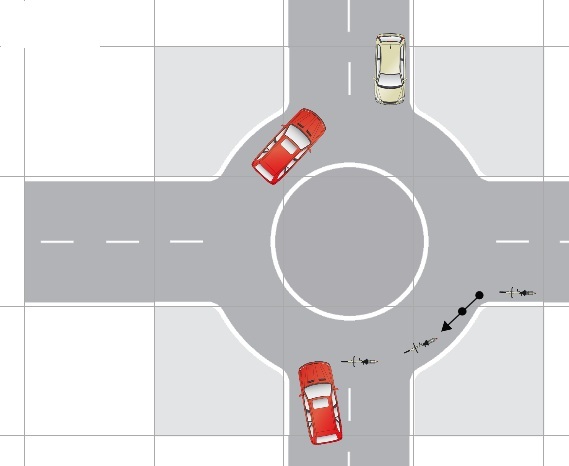 Roundabouts present a considerable hazard to cyclists. As well as the risk provided by road defects on and around roundabouts - including diesel spills and pot holes - there’s the added hazard of drivers not seeing cyclists, perhaps due to other vehicles on the road or bushes planted in the centre of a roundabout, and also of drivers who are in the wrong lane, either on the approach to a roundabout or as they exit. For a cyclist at a roundabout, being aware of surrounding vehicles doesn’t guarantee immunity against an accident – and neither does proper positioning on the road or following the road markings. Most accidents on or near roundabouts happen at a relatively slow speed but, as cycles will almost certainly be the smaller of the vehicles involved, cyclists are at risk of serious injury and a damaged cycle. If you’re unfortunate enough to be involved, through no fault of your own, in an accident at a roundabout, our team of experienced Lawyers at Cycle Law Scotland will be able to advise you on claiming for cycle accident compensation against the party at fault. 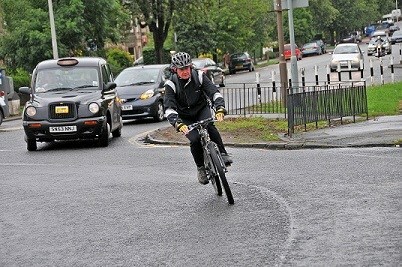 Cyclist enters the roundabout in the nearside lane with the intention of exiting at second exit. Car pulls out from first exit into his path. SMIDSY (Sorry mate I didn't see you).